I've trained many people for media interviews and hired plenty of media trainers as a communications director. But only a few people seeking training in media interview skills have done the smart thing: asking for a training focused on a special need, rather than a soup-to-nuts training that's far less likely to stick. Instead of letting your potential interviewee learn about skill she may never use--like handling ambush interviews or live remotes, two favorites of many trainers--why not hone in on a situation that's more concrete and specific? Working with a multimedia journalist: That nice reporter from the newspaper nowadays also has to take video, use audio recordings for more than notes, and take photos for a slideshow--so you need to think about more than just sounding good on paper, or joking that you have "a face for radio." How to think through how the "interview" will go, in many takes--and how to share the visuals, audio, data and extras reporters will be looking for. 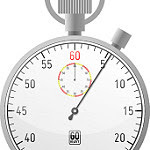 For a long-form interview: Having plenty of time and space might sound like a home run for the interviewee, but figuring out how you'll sustain a long interview--and not get caught in the middle of it--takes work. For an interview involving more than one person: How will you take turns? Hand off a question gracefully? Who'll cover what? How do you look when the other person's answering a question? If you don't know the answers, a focused training with your fellow interviewee will help. From remote locations: Out-of-studio experiences can be a bit like out-of-body experiences: They're disorienting, just when you want to be on your game. Learn the technology and tactics you need. When a personnel issue becomes public: You don't need a better example than NPR's firing of commentator Juan Williams, and CEO Vivian Schiller's remarks in defending that move, to be reminded that it takes forethought (and learned skills) to handle remarks on public personnel issues in ways that are legal, thoughtful and sensitive to your employees. When you're new in a CEO or management role: New leader? It's all about the vision with you, but you also may miss out on some easy opportunities by ignoring the softball questions you may get. Find out how to get your image established early, and get off on the right foot with reporters. With bloggers and non-traditional media: Even the White House has found that giving bloggers and journalists access to background and off-the-record events may mean immediate coverage, whether those were the groundrules or not. You should be giving bloggers access; the question is, how will you handle it? How will it differ from working with traditional media? When handheld technology makes surreptitious taping easier: With camcorders and audio recorders in every smartphone, and loads of options for recording with miniature devices, that "ambush" interview may be a low-key conversation rather than a jump-out-of-the-bushes attack. Plenty of subjects get caught by small technology, to their chagrin. You don't need to be one of them--you just need to be ready. On a contentious topic or with a contentious reporter: Do you have a graceful way with tough questions--or do you mix it up and mess it up? Focused training on a hot topic, especially one you may be too close to, can help. 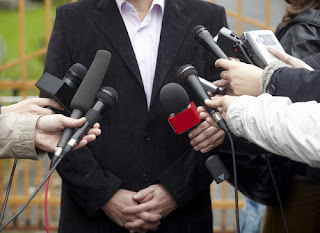 If you'll be facing a reporter known to be confrontational, you need a special set of skills. Having put interview subjects on the grill with some of the most aggressive reporters out there, I've got your back--but you still need to think through a strategy. On a medium where you haven't appeared before: New to television, radio, online video or other media? Get a training focused on the format. There are smart tactics--but different ones--to use for each. Even a simple phone interview has special tactics you can use to make it go better. For your first major announcement: Training focused on a specific announcement is always a great idea, but essential if it's your first time facing down a large news conference or a long series of interviews about your news. With a reporter who knows nothing about your topic: He might genuinely have just been thrown at your topic with zero background...or playing dumb to get you to talk more, or more clearly. No matter. You need to figure out how to speak simply and clearly about your topic without blowing your stack--or getting smug and assuming the reporter's not too smart. What's your special need when it comes to media training? Email me at info[at]dontgetcaught[dot]biz to discuss your needs and a customized individual or group training in media interview skills.